Foundation mare Constancia 1728 (brown, 155 cm) was born 1917 in Hannover, Germany by Colinor II-Erkönig. She was imported to Sweden as yearling. Constancia 1728 left fourteen offsprings of which six mares in the Studbook; Carioca 2999 (born ? by Kyffhäuser), Coronna 2316 (born 1928 by Cyrus), Katja 2519 (born 1929 by Umberto), Tora 2454 (born 1930 by Umberto) and Constancy 2530 (born 1931 by Umberto). 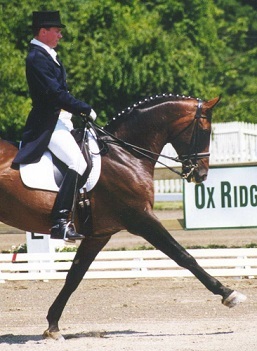 Click here to see Constancia 1728 and her descendant in the Swedish Warmblood Association database.